We were looking at the cost of Christmas dinner for last week's Finance Fridays. 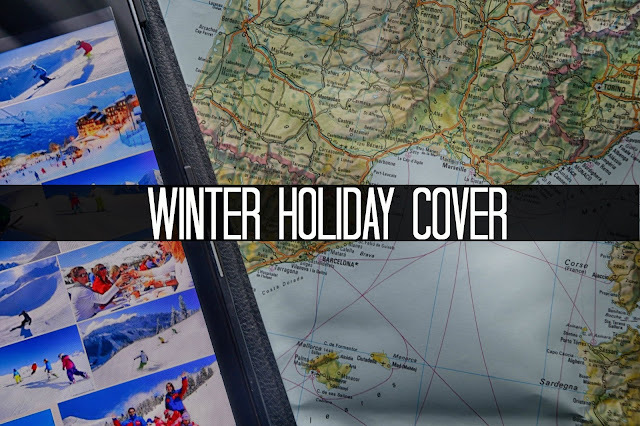 With winter officially here and the holiday season upon us this week we are talking about the cover you need if you go on a winter sports holiday. For many of us Christmas and New Year is about staying at home or visiting friends and family. However this is also the time of year that winter sports fans like to jet off in order to find the best snow for their annual skiing trip. Everyone knows the risks involved in such pursuits but how many people really fly out with right cover in place? EHIC – The European Health Insurance Card (EHIC) replaced the old E111 in 2006. It essentially covers the same things. Many people think this card will be sufficient if you travel in Europe whether you are skiing or on your summer holidays. Think again. Unlike the good old British NHS many clinics in Europe and indeed skiing resorts are actually private the EHIC covers only care provided by state hospitals. Also many European countries aren't as generous as Britain in what they provide for free so you could still be liable for payment. Check before you go that the European country you are visiting is in the European Economic Area (EEA) and they do participate in the scheme. It is still handy to carry one as you could get immediate attention in a state hospital or clinic far quicker than awaiting confirmation from your insurance company. You can apply for one for free from the official NHS site – don't be fooled by companies asking you to pay for one. Get adequate cover – If you're off on a winter sports trip make sure your travel insurance includes this element of cover. Many standard travel policies do not provide for this. Not only will you need cover for medical attention but also possible repatriation back to the UK. If you're travelling to the US this could run into the hundreds of thousands of pounds especially if a nurse or doctor is required to travel with you. Specialist cover – You might be happy going down the beginner slopes but for the more experienced and adventurous skiers this might not be enough. If you are thinking of going off-piste, on red routes or other snow sports like snowboarding get the higher cover that includes these specialist activities. Wear the gear – Many resorts it is now law that you to wear helmets. You many not like wearing them or think you are too good enough skier to wear one but if it is legally required and you haven't worn one your insurance may be invalidated. Third-party cover - “I didn't see them!” or “I couldn't stop it time!” may be your defence for causing an injury to someone else but accidents cost money. The US is known for its litigation claims that run into the millions but you could be sued in Europe as well. No snow – You've saved up your money to and waited all year to go but what happens when you get to your resort and find there's no snow to ski on? Some policies are now insuring against this so you can claim between £20-50 for each day you can't ski due to lack of snow. It might not make up for the lack of skiing but at least you'll have some funds to hit the shops with. Have you ever been on a winter sports holiday? Did you check your cover before you went? Finance Fridays will be taking a Christmas break next week but will be back on Friday 6th January 2017. If you want to join in with this week's Finance Fridays then add your link to the linky below. Any post concerning financial matters is allowed. Full details here. It doesn't have to be published today as you have until 23.55 on Tuesday 3rd January 2017 to join in.